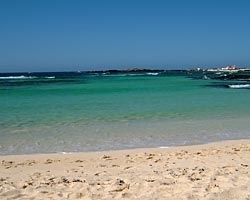 Apartment rental in El Cotillo The Haven is close to the blue lagoons and wild golden beaches with waters perfect for windsurfing, surfing and fishing. If you are looking to escape for a holiday,The Haven is the place to be. 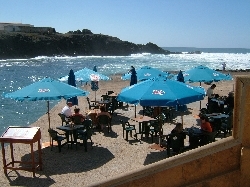 Book with www.holiday-home-rentals.co.uk and ask for your 10% discount! 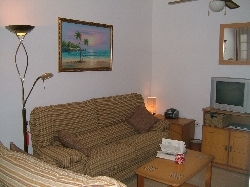 The Haven, Self catering holiday apartment in El Cotillo, Fuerteventura, Spain. 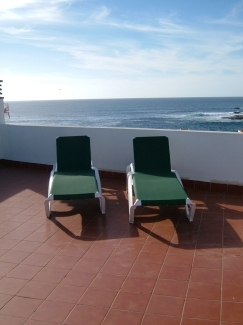 Is situated in the centre of the Old Harbour area of El Cotillo, Fuerteventura, this twin / king bedded ground floor apartment is a little gem offering the best possible location; 50 metres walk from the bars and restaurants in this harbour area of El Cotillo, Fuerteventura. 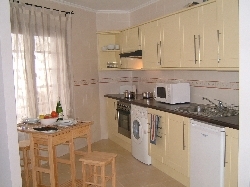 The fully equipped kitchen in the apartment means it is also perfect for those planning a self-catering holiday. Full hob/oven, microwave, fridge, washing machine,kettle,toaster. Fans, hair dryer, iron & ironing board, safety deposit box, smoke alarm. 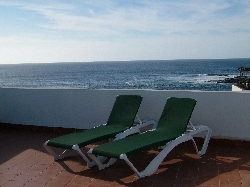 The large roof terrace is equipped with sun beds and offers stunning views over the town and coast. 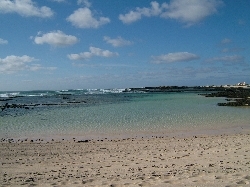 from Fuerteventura Golf Course with its 40 bay driving range. 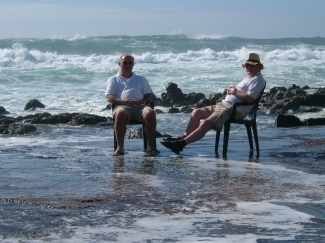 You will never be board when booking holiday homes in Fuerteventura. 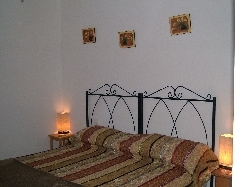 All Year �300.00 per week.